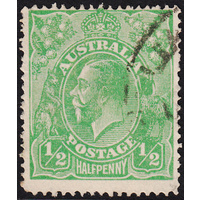 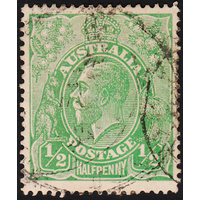 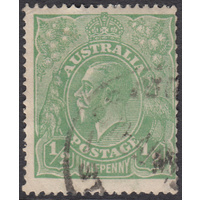 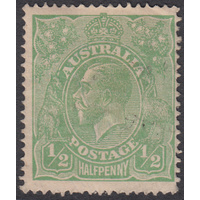 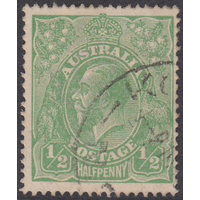 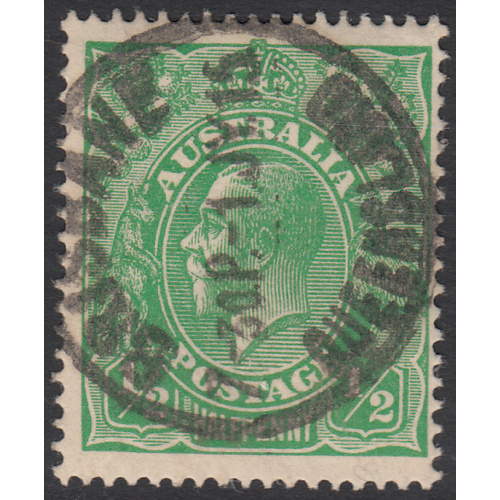 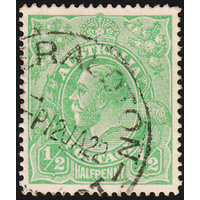 Australia KGV 1915, 1/2d Green, Single Watermark, variety 2L3, (narrow horizontal notch into left frame 1mm below top left corner) in Good Used condition with no faults. 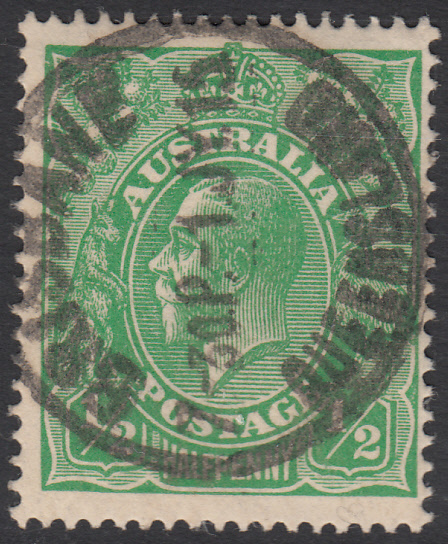 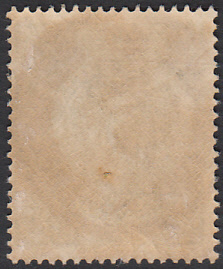 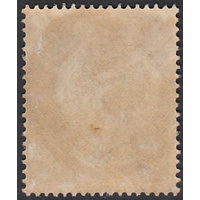 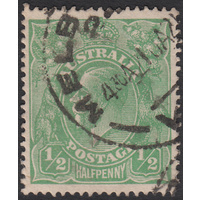 Centered slightly right with a circular datestamp cancellation (BRISBANE, QUEENSLAND, 1st July 1915) clear of the variety. 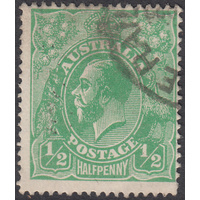 Excellent dated example!